It is now the season of Lent. 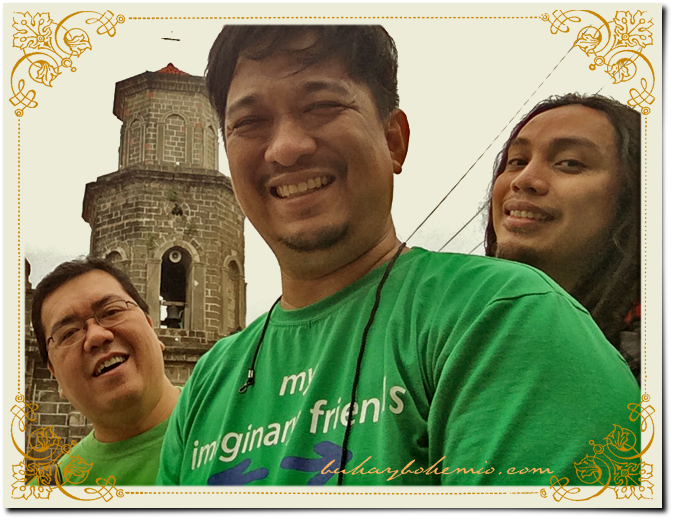 A couple of weeks ago, my long-time friends Don (above center) author of bonggaba.com and Fitz (left) of readytoberich.com again invited me to their yearly dry-run trip to churches they plan to visit for their Visita Iglesia with their folks. 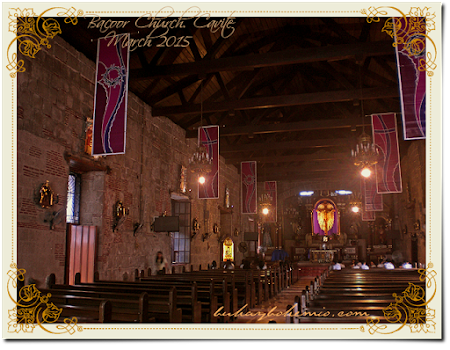 So this year it was the old churches of the province of Cavite. 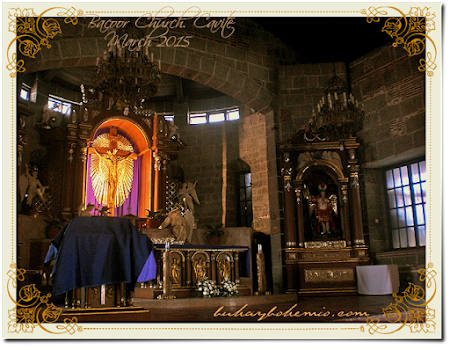 Because it is known to be the Historical Capital of the Philippines, Cavite is sure to have lots of churches built during Spanish colonial times. The fist church we visited in that surprisingly gloomy day this Summer is the Church of St. Michael the Archangel in Bacoor. Looks really old with it's adobe walls. 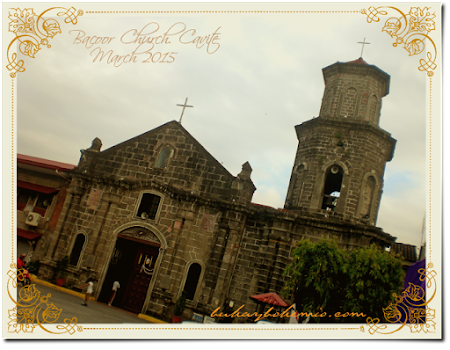 Not as large as some churches in Cavite with a cruciform floor plan, though it is said that it used to be. Little is known about the history of this church. You will not find an official NHCP marker here, to think that Bacoor is one of the towns that rose up against the Spaniards. 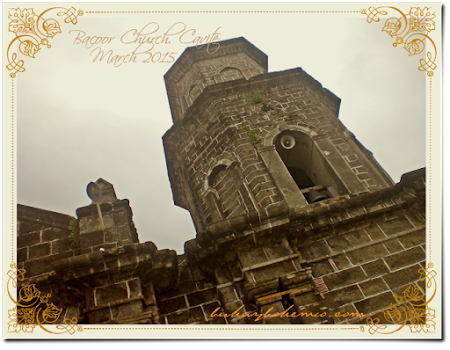 The Katipunan might have held secret meetings in these old church grounds. But we do know that the parish was established in 1752. The first church structure is most likely to have been made of light materials, just as the beginnings of other old churches all over the country. The present adobe structure may have been built in the 1800's. We really don't have the time to look for someone to chat with regarding the history of this church as we are targeting to visit 12 churches in Cavite in one day. It would have been awesome if there was at least a board in here that featured some history. Nonetheless, kudos to the people of Bacoor for preserving the old charm of this beautiful church!